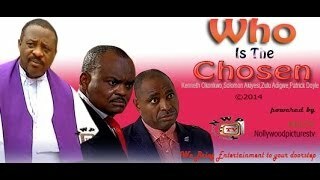 Make sure to first watch "Who is the Chosen", before watching this sequel titled, "Beware of Wonders Nigerian movie" [Part 1]. It stars Kenneth Okonkwo, Solomon Akiyesi, Zulu Adigwe, Patrick Doyle, Nwankwoude Joseph, Chinwe Isaac, Kyrie Ekwenze, and Emma Ayalog. 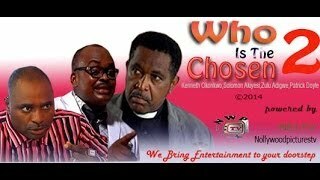 Brought to you courtesy Nollywood Pictures TV! Movie Storyline: Prophecies, signs and wonders and all manner of divine intervention are the expectations of modern church goers who seek anointed pastors to fulfill such demands. The level of deceit, fraud and falsehood to bring continuous supply to these enormous demands is not just incredible but totally unbelievable. Observe the most advanced fraudsters and criminals in operation as religious leaders. Beware of Wonders is directed By Don Single Ndubuisi and produced by Donatus Nwobodo. The sequel to this movie is "The Unbelievers".